There are many means of protection against mosquitoes: creams, sprays, ointments and fumigators, but not always, they can be used. In this case, after a mosquito bite there is swelling, irritation and intense itching. Parsley leaves or plantain, ammonia, weak solution of potassium permanganate, softened mint leaves or cherry, the juice of citrus fruits, the juice of plantain, calendula juice, onion juice or parsley, juice of celandine, the balm "Asterisk". Mosquitoes are carriers of various diseases, including such dangerous and intractable as encephalitis. Combing the wound from a mosquito bite, you can easily bring an infection in it. For example, when working outdoors was bitten by a mosquito, the bite is very itchy and he starts scratching it hard, and not very clean hands. If the bite occurred on the forehead or the temples, the bite could easily get sweat, which also causes a burning sensation and the result is an explosive mixture - a mosquito bite, dirt and sweat. 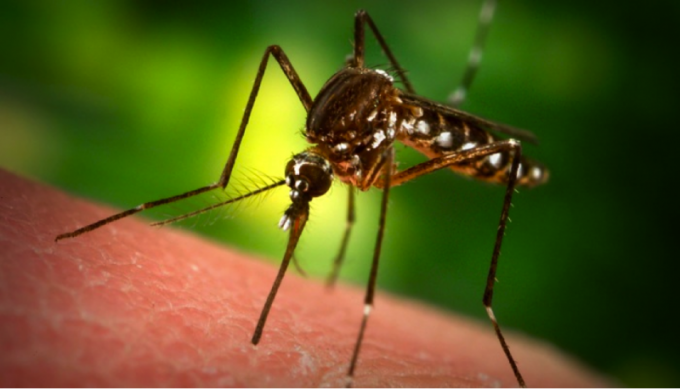 To mosquito bites did not bring much harm, you need to follow a sequence of actions after they are detected. The bite does not need combing, to prevent the occurrence of edema must be applied to the wound a small piece of ice or put the bite under running cold water. Also swelling itching and perfectly remove the juice of parsley and psyllium. To do this, take a piece of parsley or plantain, mash with a soup spoon, or any other means at hand until the juice, then the resulting juice must be carefully treat the bite. To relieve feelings of itching, there are also folk remedies. For example, the place of mosquito bite can be treated moistened in soda solution (1 tsp soda to a half Cup of cold boiled water) with a cotton swab. Adults relieve itching from the bite will help a small compress of cotton wool soaked in ammonia solution or a weak solution of potassium permanganate. Also an effective remedy for relieving burning sensation at the site of insect bite is softened mint leaves or cherry, the juice of citrus fruits, plantain, calendula, onions or parsley. To get the result applied leaves or a small compress of cotton wool, liberally soaked in any of these juices to the bite. Juice of celandine is a great method of combating insect bites. Treating the bite with juice of this plant, in addition to relieving swelling and itching, there is a complete disinfection of the wound. The same effect has known since childhood balm "Asterisk". It will not only relieve severe itching and irritation, but also will scare away annoying insects. When used for the treatment of insect bites and stings ammonia should act with the greatest care to avoid contact with the mucous membranes of the eyes.